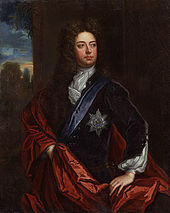 Duke of Marlborough is a title in the Peerage of England. The name of the dukedom refers to Marlborough in Wiltshire and it is one of the few titles in the peerage which allows for suo jure female inheritance, and the only current dukedom to do so. 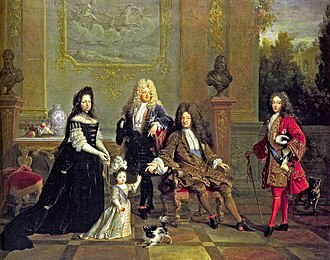 The earldom of Marlborough was held by the family of Ley from its creation 1626 until its extinction with the death of the 4th earl in 1679, the title was recreated 10 years for John Churchill. 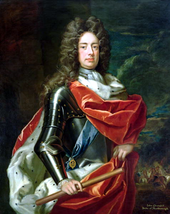 Churchill had been made Lord Churchill of Eyemouth in the Scottish peerage, shortly after her accession to the throne in 1702, Queen Anne made Churchill the first Duke of Marlborough and granted him the subsidiary title Marquess of Blandford. In 1678, Churchill married Sarah Jennings, a courtier and influential favourite of the queen and they had seven children, of whom four daughters married into some of the most important families in Great Britain, one daughter and one son died in infancy. 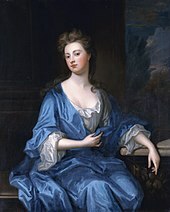 He was pre-deceased by his son, John Churchill, Marquess of Blandford, in 1703, so, to prevent the extinction of the titles and she was married to the 2nd Earl of Godolphin and had a son who predeceased her. 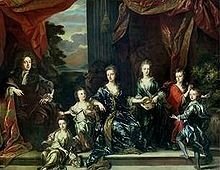 When Henrietta died in 1733, the Marlborough titles passed to her nephew Charles Spencer, the son of her late sister Anne. 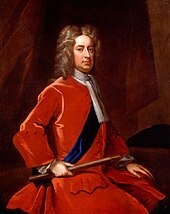 Upon his maternal aunt Henriettas death in 1733, Charles Spencer succeeded to the Marlborough family estates and titles, when he died in 1758, his titles passed to his eldest son George, who was succeeded by his eldest son George, the 5th Duke. In 1815, Francis Spencer was created Baron Churchill in the Peerage of the United Kingdom, in 1902, his grandson, the 3rd Baron Churchill, was created Viscount Churchill. 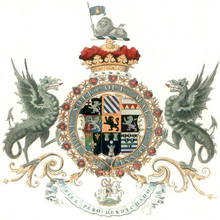 In 1817, the 5th Duke obtained permission to assume and bear the surname of Churchill in addition to his surname of Spencer, at the same time he received Royal Licence to quarter the coat of arms of Churchill with his paternal arms of Spencer. The 7th Duke was the grandfather of the British Prime Minister Sir Winston Churchill. The 11th duke, John Spencer-Churchill died in 2014, having assumed the title in 1972, the 12th and present duke is Charles James Spencer-Churchill. 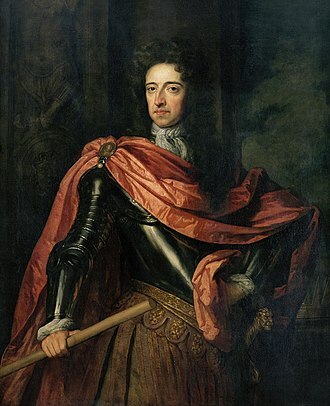 James II was a Roman Catholic, and some Protestants under his rule opposed his kingship. 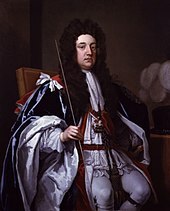 James Scott, 1st Duke of Monmouth, an son of Charles II, claimed to be rightful heir to the throne. 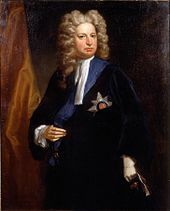 The Monmouth rebellion was coordinated with a rebellion in Scotland, where Archibald Campbell, the Duke of Monmouth had been popular in the South West of England, so he planned to recruit troops locally and take control of the area before marching on London. Monmouth landed at Lyme Regis on 11 June 1685, Monmouths forces were unable to compete with the regular army and failed to capture the key city of Bristol. 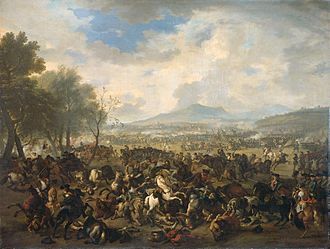 The rebellion ended with the defeat of Monmouths army at the Battle of Sedgemoor on 6 July 1685 by forces led by Feversham, Monmouth was executed for treason on 15 July 1685. Many of his supporters were tried during the Bloody Assizes, led by Judge Jeffreys, James II was able to consolidate his power. 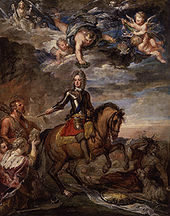 He reigned until 1688, when he was overthrown in a coup détat by William of Orange in the Glorious Revolution, Monmouth was an illegitimate son of Charles II. 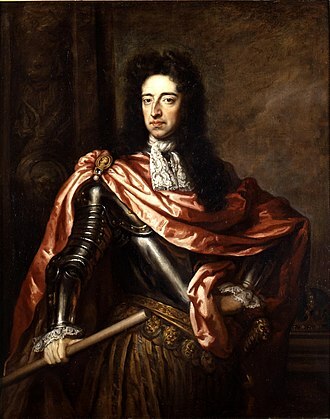 There had been rumours that Charles had married Monmouths mother, Lucy Walter, but no evidence was forthcoming, Monmouth had been appointed Commander-in-Chief of the English Army by his father in 1672 and Captain general in 1678, enjoying some successes in the Netherlands in the Third Anglo-Dutch War. 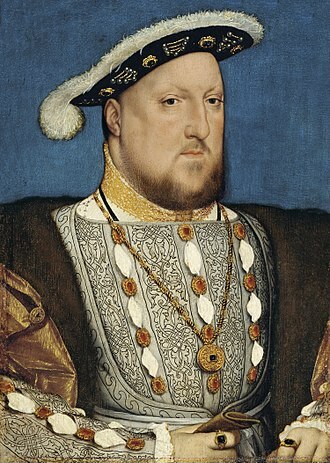 The English Civil War had left resentment among some of the population about the monarchy, the South West of England contained several towns where opposition remained strong. 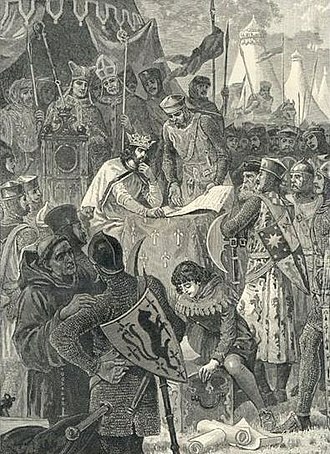 Fears of a potential Catholic monarch persisted, intensified by the failure of Charles II, a defrocked Anglican clergyman, Titus Oates, spoke of a Popish Plot to kill Charles and to put the Duke of York on the throne. The Earl of Shaftesbury, a government minister and a leading opponent of Catholicism. Some members of Parliament even proposed that the go to Charless illegitimate son, James Scott. 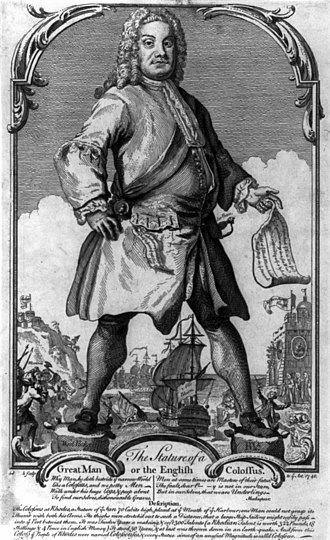 Two further Parliaments were elected in 1680 and 1681, but were dissolved for the same reason, after the Rye House Plot of 1683, an attempt to assassinate both Charles and James, Monmouth went into self-imposed exile in the Netherlands, and gathered supporters in The Hague. Sir Winston Churchill, FRS, known as the Cavalier Colonel, was a British soldier, historian and politician. 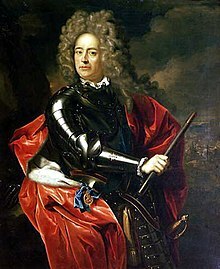 He was the father of John Churchill, 1st Duke of Marlborough, as well as an ancestor of his 20th-century namesake, Churchill was the son of Sir John Churchill of Dorset, a lawyer and politician, and his wife Sarah Winston, daughter of Sir Henry Winston. Churchill was educated at St Johns College, but he left university without taking a degree, Churchill was a fervent Royalist throughout his life. He fought and was wounded in the Civil War as a captain in the Kings Horse and, after the Restoration, he sat as a Member of Parliament for Weymouth and Melcombe Regis from 1661 to 1679 and for Lyme Regis from 1685 to 1688. He was a Commissioner of the Irish Court of Claims, Churchill was knighted in 1664 and made a Fellow of the Royal Society the same year. He died in March 1688, at the age of 67 and they had eleven children, seven sons and four daughters, of whom only six survived infancy. Theobald attended Queens College, took orders, became Chaplain in his brothers regiment in 1683. 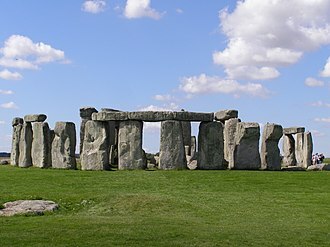 This state of things became modified with the progress of time, and with the growth of society. 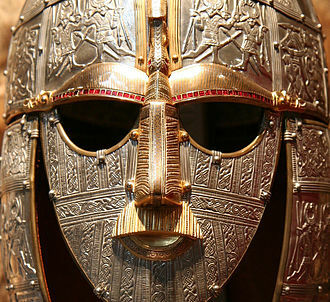 The principle of the division of labour having taken root in the Anglo-Saxon character and it was that troops more or less regular were formed, the first paid bands had at first only a provisional existence limited by circumstances. Raised in time of war for an object, they were always disbanded as soon as hostilities were over. 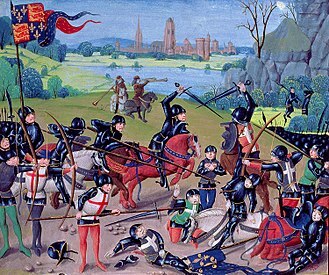 The system of a permanent army does not date, in England, further back than the Interregnum, however the primitive steps towards standing armed forces began in the Middle Ages. 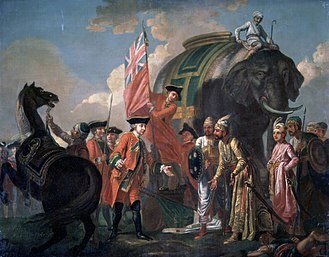 Troops for foreign expeditions were raised on a basis in either country by its King. This was a development of the concept of fief. In practice and professional soldiers were commissioned by the monarch to supply troops. The musters were usually chaotic affairs, used mainly by the Lord Lieutenants and other officers to draw their pay and allowances, and by the troops as an excuse for a drink after perfunctory drill. 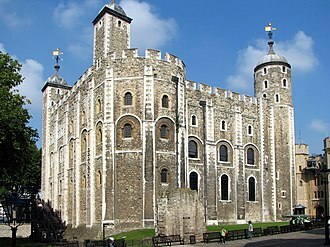 In 1642, at the start of the English Civil War both the Royalists and Parliament raised men when and where they could, and both claimed legal justification, Parliament claimed to be justified by its own recent Militia Ordinance, while the king claimed the old-fashioned Commissions of Array. 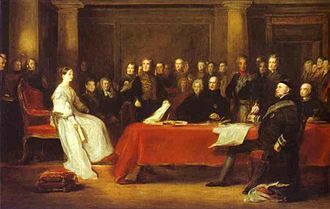 For example, in Cornwall the Royalist leader Sir Ralph Hopton indicted the enemy before the jury of the county for disturbing the peace. 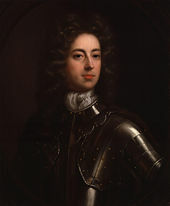 In effect, both sides assembled local forces wherever they could do so by valid written authority, an experienced soldier, Sir Thomas Fairfax, was appointed its Lord General. From its foundation, the New Model Army adopted social and religious policies which were increasingly at odds with those of Parliament, the Armys senior officers formed another faction, opposed both to Parliament and to the more extreme radicals within the lower ranks. 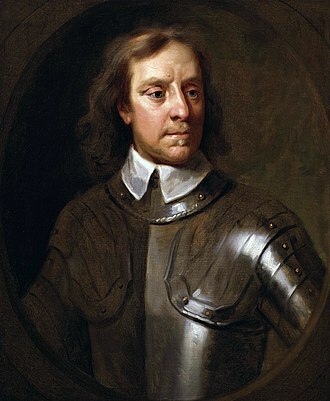 In the aftermath of the Second English Civil War, Parliament was made subservient to the wishes of the Army Council whose leading figure was Oliver Cromwell. 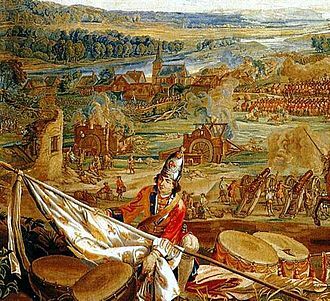 The Battle of Sedgemoor was fought on 6 July 1685 and took place at Westonzoyland near Bridgwater in Somerset, England. 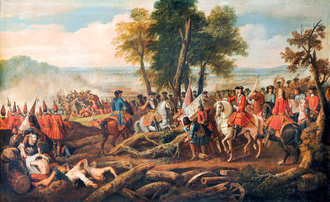 It was the battle of the Monmouth Rebellion and followed a series of skirmishes around south-west England between the forces of James Scott, 1st Duke of Monmouth, and troops loyal to James II. 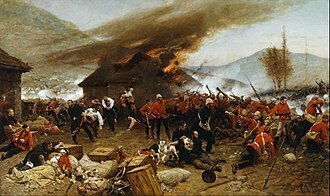 Victory went to the royalists and about 500 prisoners fell into their hands, Monmouth escaped from the battlefield but was captured, taken to London and executed. Many of Monmouths supporters were tried during the Bloody Assizes, many were transported abroad, while others were executed by drawing and quartering. It was the battle of the Monmouth Rebellion, by which the rebel James Scott, 1st Duke of Monmouth. James II had succeeded to the throne on the death of his brother Charles II on 2 February 1685, after Monmouth landed from the Netherlands at Lyme Regis in Dorset, there had been a series of marches and skirmishes throughout Dorset and Somerset. Eventually Monmouths poorly equipped army was pushed back to the Somerset Levels and he ordered his troops to fortify the town. 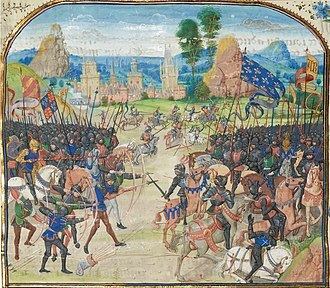 The force was made up of around 3,500, mostly nonconformist, the royalist troops, led by Louis de Duras, 2nd Earl of Feversham, and Colonel John Churchill, were camped behind the Bussex Rhine at Westonzoyland. The Horse and Foot, the Royal Train of Artillery was camped along the road to Bridgwater. The Royal Cavalry, with seven troops,420 men of the Earl of Oxfords, the Kings Regiment of Horse, the Duke eventually led his untrained and ill-equipped troops out of Bridgwater at around 10,00 pm to undertake a night-time attack on the Kings army. They were guided by Richard Godfrey, the servant of a local farmer, with their limited cavalry in the vanguard, they turned south along Bradney Lane and Marsh Lane, and came to the open moor with its deep and dangerous rhynes. There was a delay while the rhyne was crossed and the first men across startled a royalist patrol, a shot was fired and a horseman from the patrol galloped off to report to Feversham. 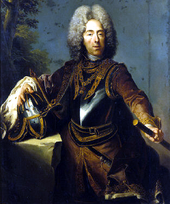 Lord Grey of Warke led the cavalry forward and they were engaged by the Kings Regiment of Horse which alerted the rest of the royalist forces.